Oaks Lighting Kota single light ceiling pendant features a circular ceiling plate with black cable and decorative chain in matt nickel finish, holding a dome shaped antique silver tinted glass shade. This product code is 2802 SM NI. 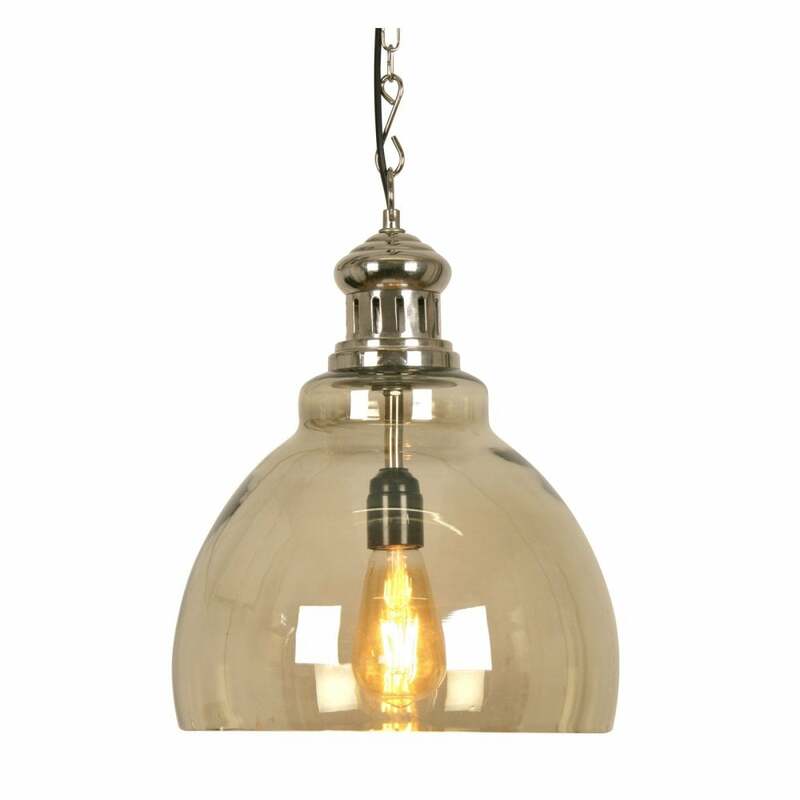 The vintage style design is a perfect for both modern or traditional decors and looks great hung individually or in groups over a kitchen island or dining table, teamed with a filament lamp will complete the vintage look. Height adjustable at point of installation. Also available with clear glass shade which can be viewed on our website.